MOO’s Super paper is totally customizable – with Soft Touch or High Gloss finishes plus the option to add Spot Gloss or Gold Foil for that added shimmer-factor – you can create Business Cards that are as unique as you. To bring you some inspiration, here are 3 graphic designers who chose Super to show themselves off – with the stories behind their businesses and stunning designs. We love the way Minneapolis-based designer Phalen Reed blends old-school classic typography with a bright palette and some seriously awesome icon sets too. We were so proud she chose us to show off the best of her new redesign – and we love the idea of having a call to action on your business cards too – they all read ‘tell me about your project’. 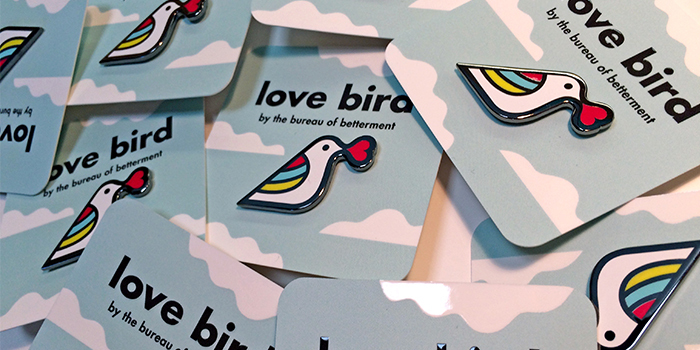 Mette Hornung Rankin has been running her design and illustration company, Bureau of Betterment for the last 7 years. She’s always had a passion for design – after graduating with a degree in print management, she went on to work in both design studios and branding agencies before deciding to go solo. Mette loves to work on both large and small projects, from corporate branding and packaging to design and illustration for books.